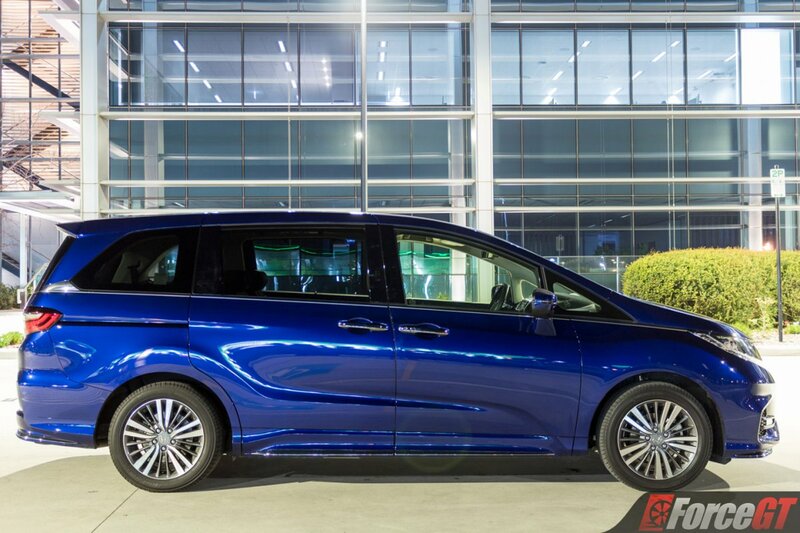 Honda has taken the tried and tested approach of quality over quantity and applied it to their flagship people mover, the Honda Odyssey. 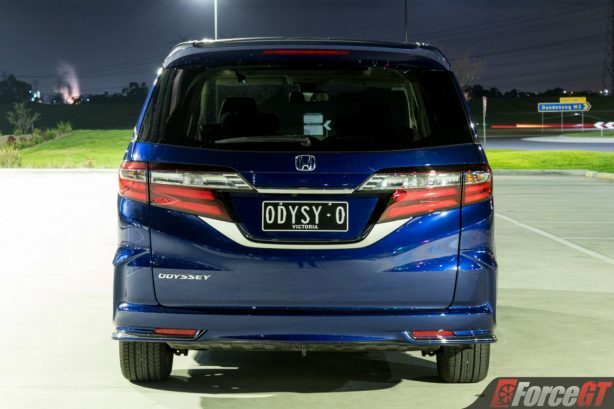 Where the lower spec VTi can swallow up 8 people in total, the top spec Odyssey VTi-L will max out at 7. For those that want the best bang-for-your-buck, the VTi will suffice but if you’d prefer to cruise in first class rather than economy, the VTi-L has got you covered. 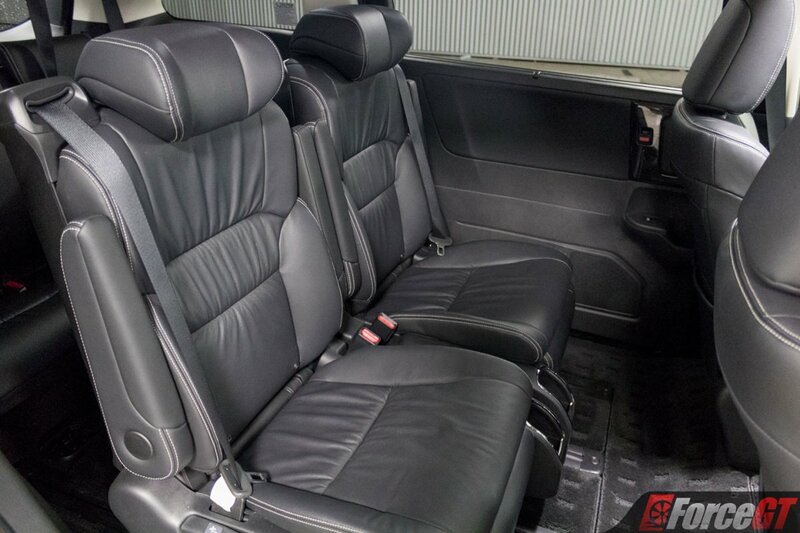 Functionality is of the utmost importance for any people mover and that carries over to the appearance. The Odyssey’s roof-line sits high up granting more interior room, door mounted mirrors and large windows at the base of the A-pillar promote visibility, while both the front window and bonnet swoop down to drop the drag coefficient for a more efficient fuel economy and reduced wind noise. 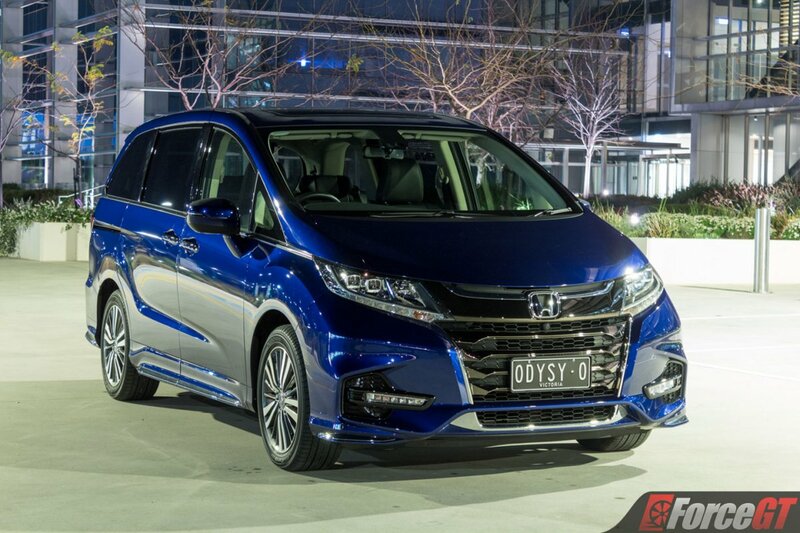 That said, Honda’s design language is visible from every angle and the Odyssey is one of the most stylish people movers available. That same dedication to functionality is also apparent inside where simplicity and dynamic use of space create a low stress and comfortable environment. Plush carpet and soft leather seats make the Odyssey feel more like a lounge room than a car. 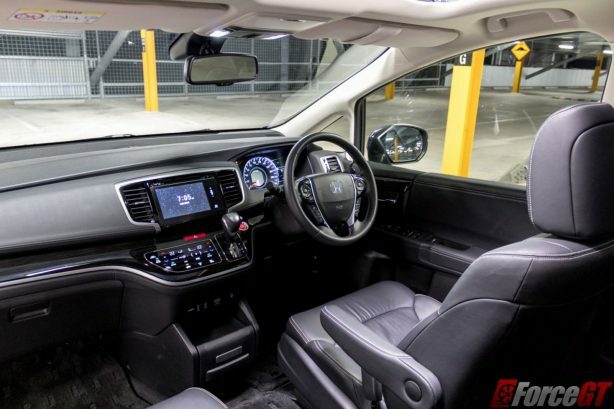 There’s no floor mounted centre console as the automatic gear stick is built right into the dash, leaving you with a nice, large open area to place bags between the seats. 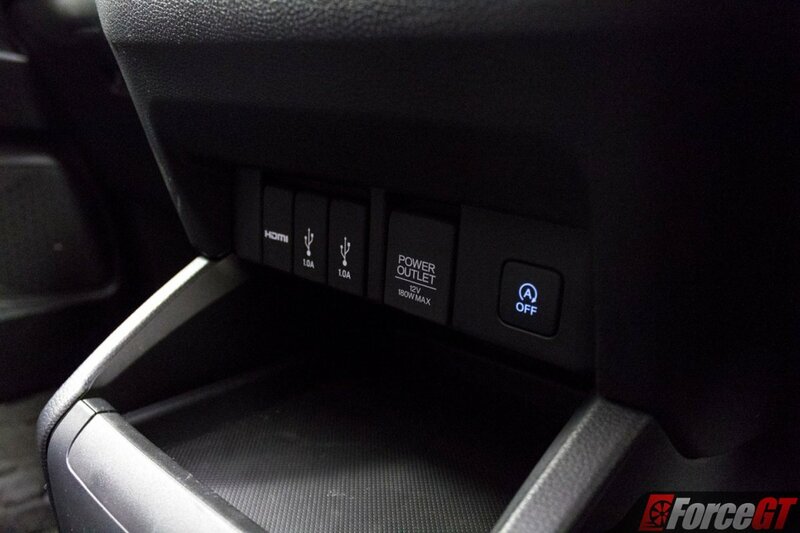 At the base of the dash sits an extendible storage space that slides forward to hold your phone and other bits and bobs. The dual drink holder that pops out does work but the shallow base combined with tall drinks isn’t as sturdy as it could be. 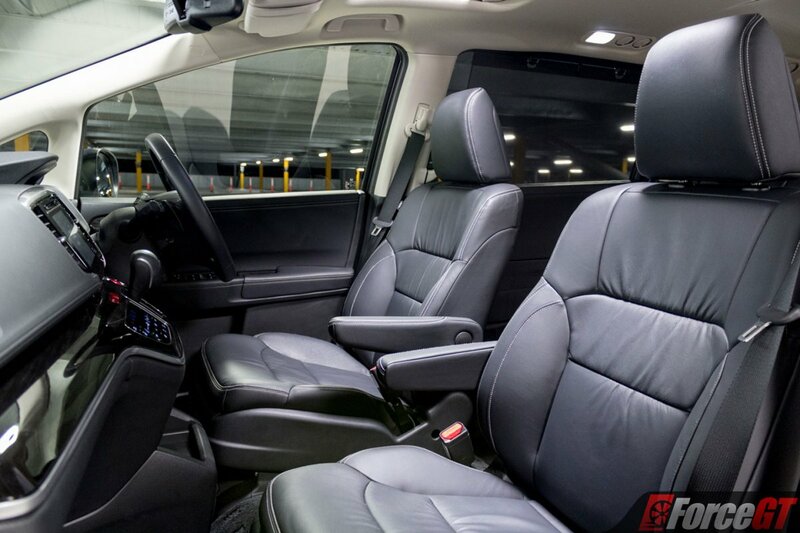 The dual electric front seats both come with arm rests and the extra soft headrests make every drive a relaxing affair. 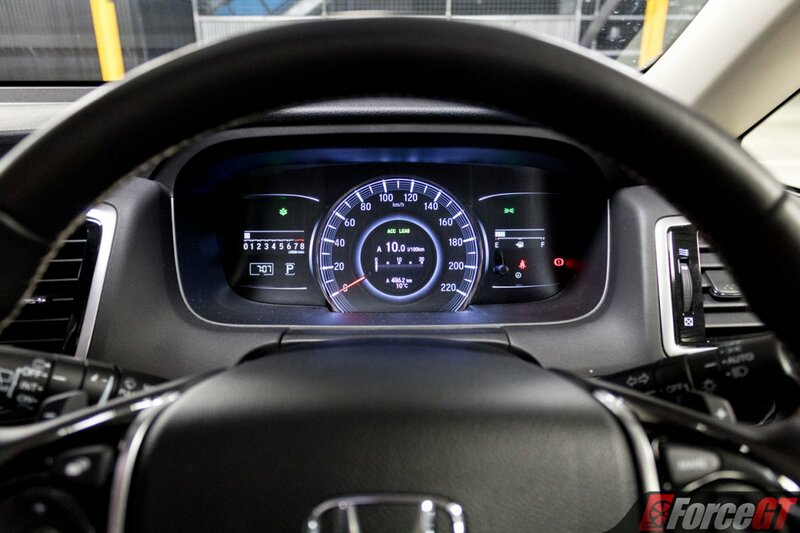 For drivers, the wheel-mounted controls are well laid out, engaging either the speed limiter or adaptive cruise control is a walk in the park and the lane-keep assist is a simple on-off toggle button. Of all the lane-keep assist systems I’ve tested, the Honda system is by far the least intrusive and integrates well into daily driving. 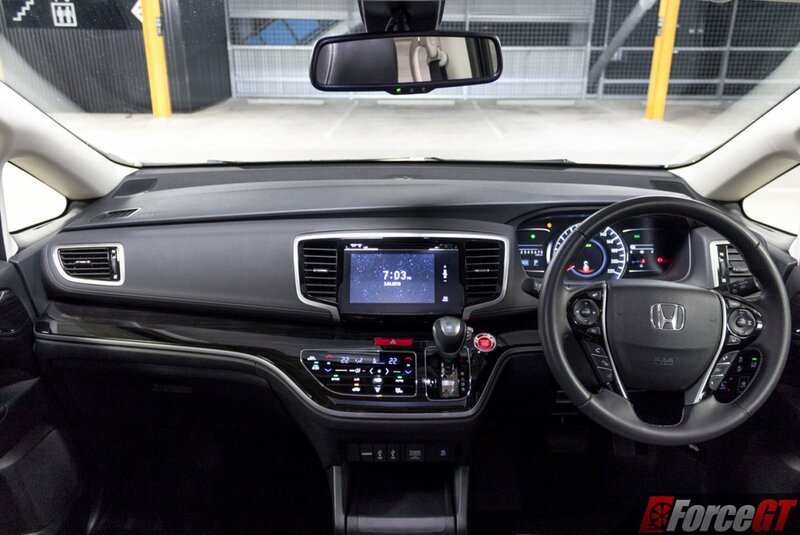 Unlike other systems that constantly interfere to keep you centred, the Honda version gives some leeway; only activating once you’re well off of the centre and headed for trouble. Normally though it’ll activate progressively rather than the sudden movements I’ve found in rival systems. 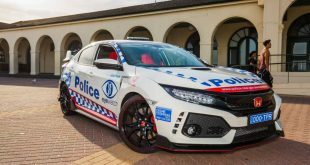 Kudos to the engineers back at the Honda R&D for their efforts. Visibility for drivers up front is better than you’d expect, the giant front window and lower A-pillar mounted window ports bring as much of the outside world in as possible and the high driving position helps see out and down when keeping tabs on the road behind you. 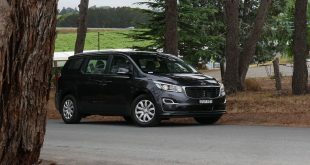 Further improving driver awareness is the blind spot camera that activates every time you flick the left indicator on. For parking there’s a whole army of cameras ready to do the recon work for you so you nail your parking bay target each and every time. You’ve got access to front, side, rear and a full 360 degree top down camera, all of which make tight parking a non issue in such a large car. And if you’re really in a bind, the parking assistance system with steering assist can be put to use to make you park like a pro. 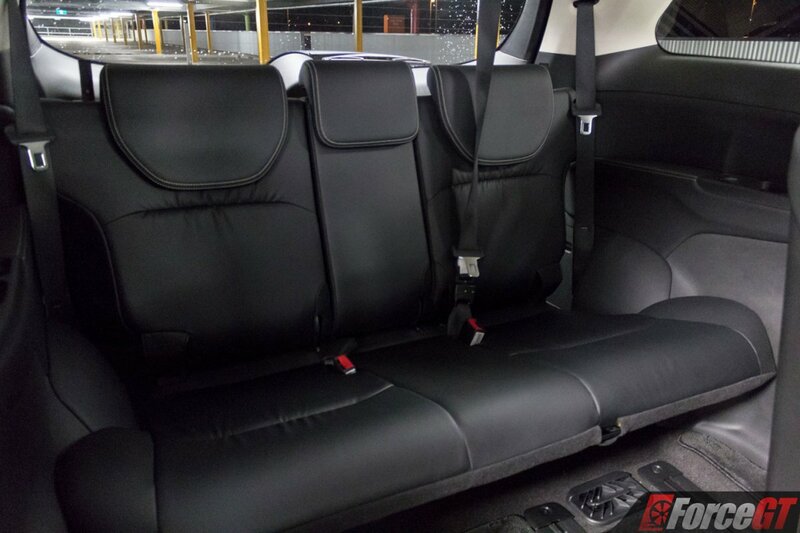 As mentioned earlier, the Odyssey VTi-L seats 7 rather than 8 due to the middle row lacking a centre seat. What you lack in quantity is easily made up for in quality. 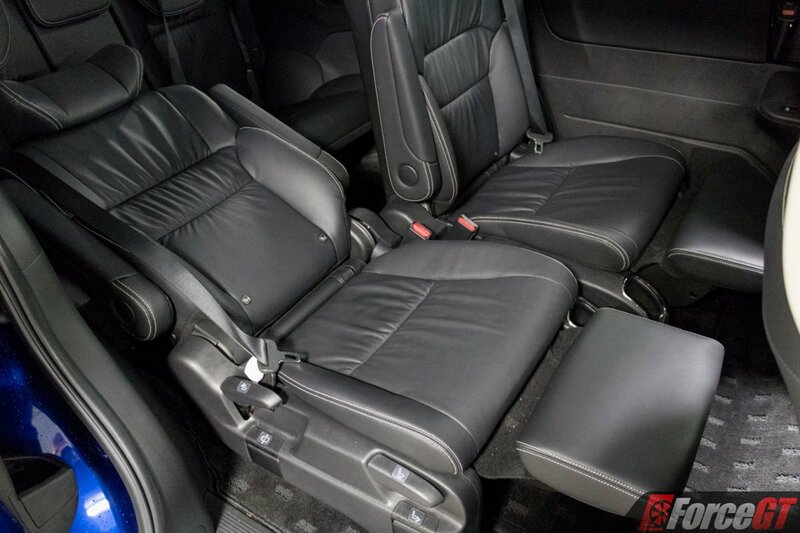 The middle-row seats are completely reclinable with twin arm rests and even a leg rest. Room of course is excellent and the seats even have their own party trick in that they can slide left and right to open up the middle of the car or separate two cranky kids from one another. 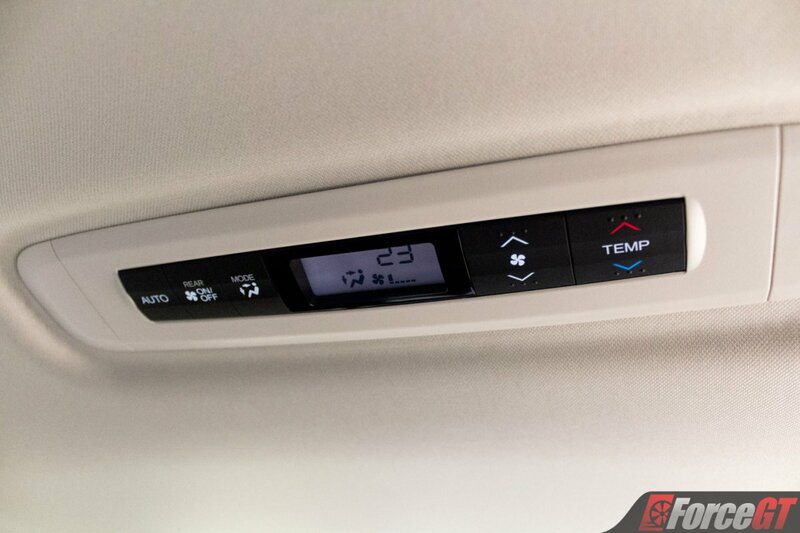 The Odyssey VTi-L comes equipped with triple zone climate control where the rear is adjusted by the roof mounted controls that can be overruled from up front if needed. 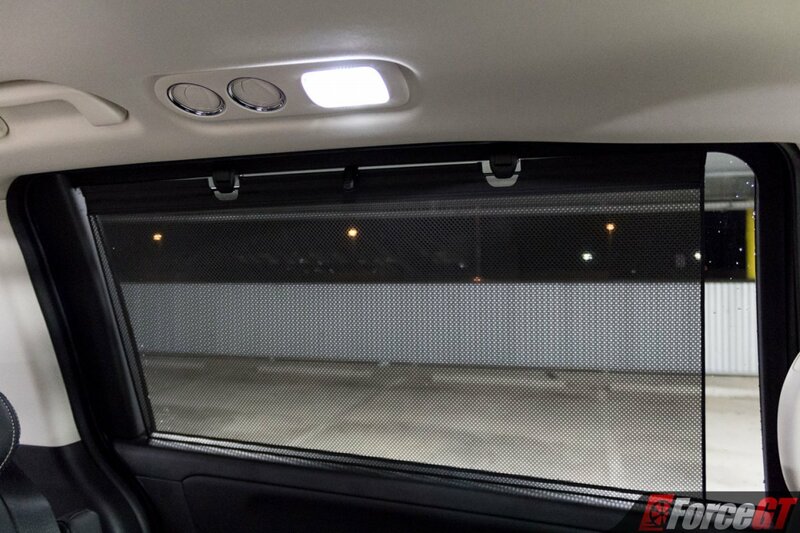 If it’s a particularly sunny day, mid-row passengers can pull up the in-built mesh sun shades should the tinted windows not already be sufficient. The only improvements that I could suggest to the second-row would be having armrests that can be locked in place and a way to lock the seats in place when you need to maximise room in the rear. 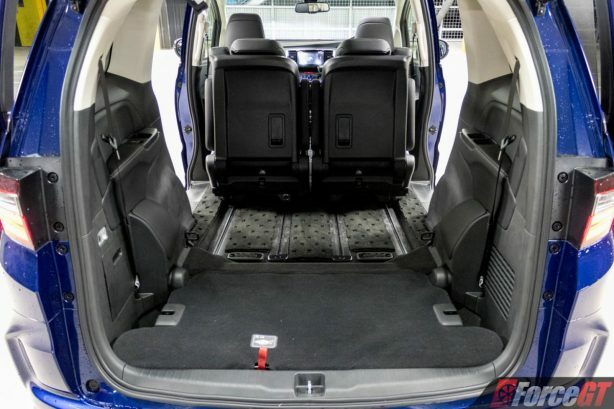 Step further aback and the rear row of seats sit three across and come complete with ventilation and adequate room, though are best left for children rather than adults for long trips. Unfortunately neither the mid-row or rear-row seats have access to any power outlets as these are strictly limited to the front. 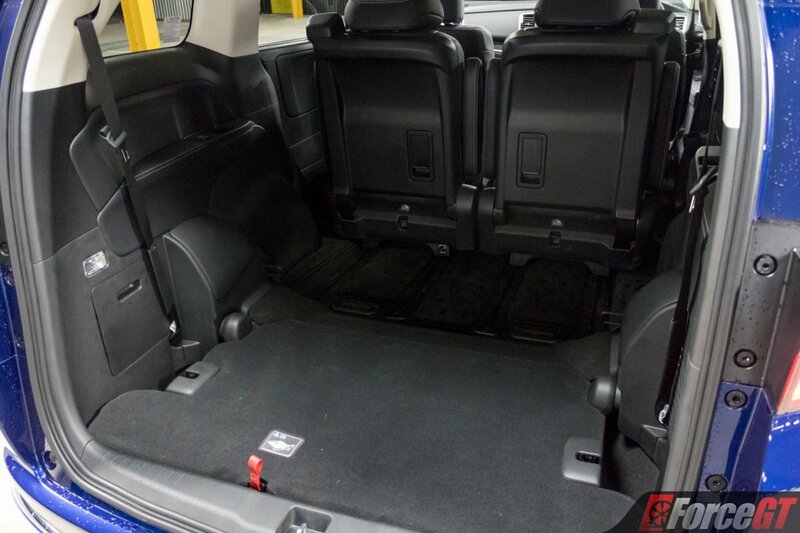 With those rear seats up there’s still 330L of storage thanks to the deep boot floor. 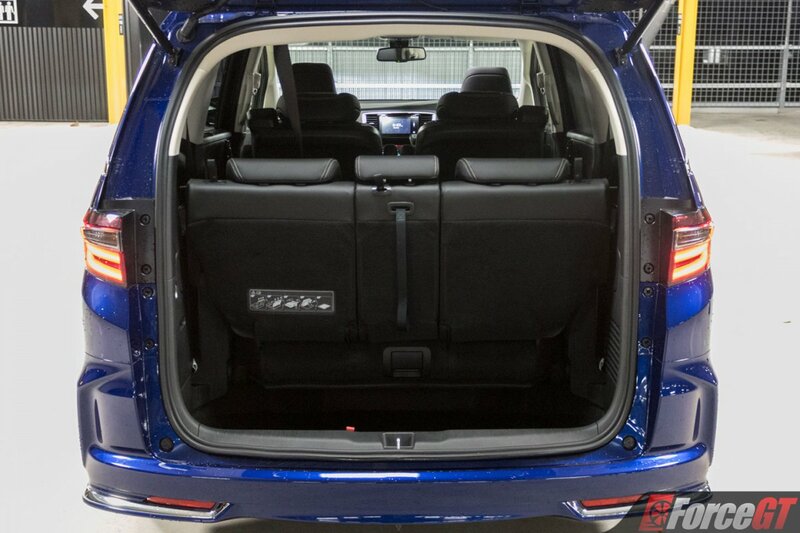 Pull a few straps and that rear row quickly drops into the boot floor, providing a flat area that’s immense in volume. Those with children quickly realise how messy the back of a car can get and here the Odyssey shines as one of the easiest cars I’ve ever had to vacuum, lots of flat floors and open space make the job effortless. 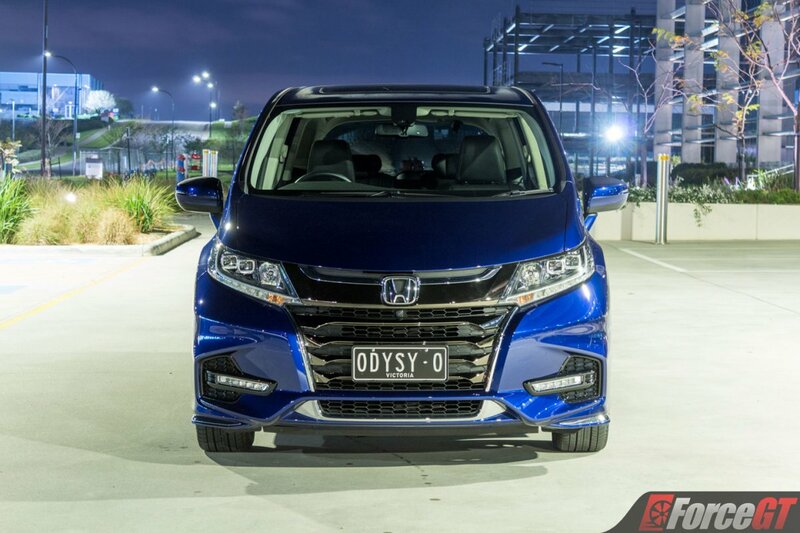 Getting in and out of the Odyssey couldn’t be more simple, the doors will even open themselves as they’re fully electric, operable from the inside or outside handles, driver control buttons or even the key fob. They’re smart, too, and will stop as soon as any resistance is encountered to prevent unintended amputation. The build quality, too, is top notch, with so many extra interior pieces I’d surely expect a rattle here and there but instead, complete silence and solidity. External noises are kept at bay, too, with excellent sound insulation and very little wind noise even once you hit 110km/h. 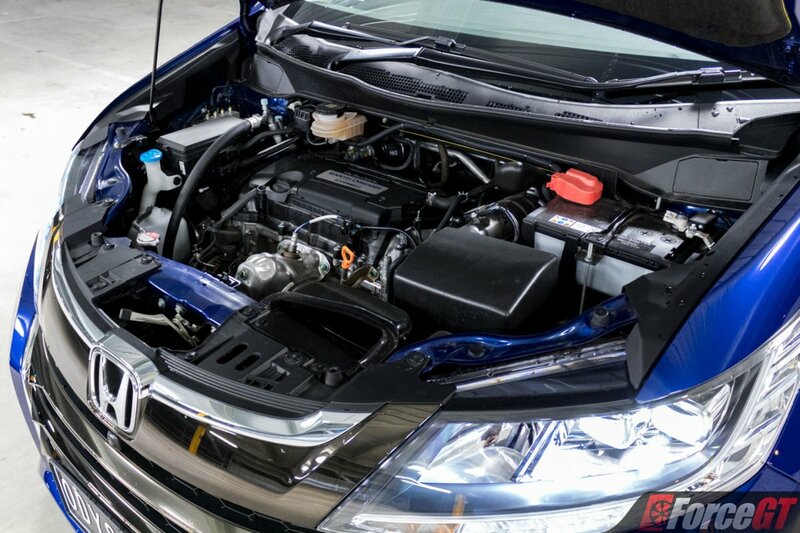 The Odyssey VTi-L tips the scales at a chunky 1,848kg (tare mass) so you’d expect a relatively large grunty motor under the bonnet. 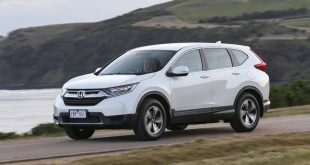 What you get is a moderately sized 2.4-litre i-VTEC equipped 4-cylinder making an equally modest 129kW @ 6,200 rpm and 225Nm of torque @ 4,000 rpm. It’s no rocket ship but neither is it a slug. It never once felt underpowered even when fully loaded up with passengers but once you let the revs climb it’ll make some noise to let you know it’s working hard. More low down torque would be ideal but as things are, it’s good enough to perform the task at hand. 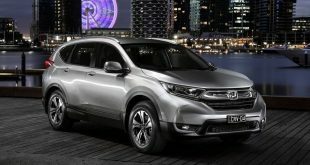 The other down side to the weight and size comes in the form of fuel economy. 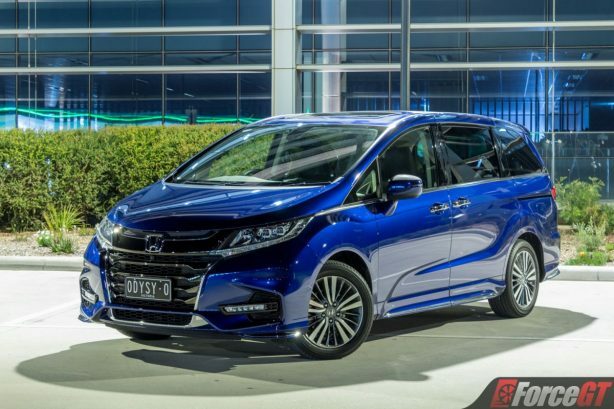 Honda suggests the Odyssey can manage 7.8L/100km yet our figures were closer to 9.9L/100km, so you may be filling up that 55L fuel tank more often than expected. You can make use of the Eco mode to improve things but that button utterly strips all the power and response from the throttle, putting everything in slow motion. 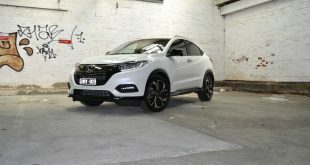 A 7-speed CVT automatic gearbox handles all the tricky bits and unless you thrash it, you’ll pay it no attention as it gets on with providing smooth gear changes. In times where you do need to drop it down a gear, the wheel mounted gearbox paddles come in handy. If there was a way to drive blind you’d struggle to tell you’re driving a people mover rather than an ordinary car. 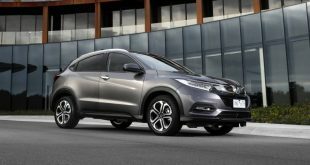 The steering feel is very car like with average weighting and at low speeds, it’s light enough to go from lock to lock very quickly, which is ideal because the 10.8m turning circle will have you doing that a fair bit. 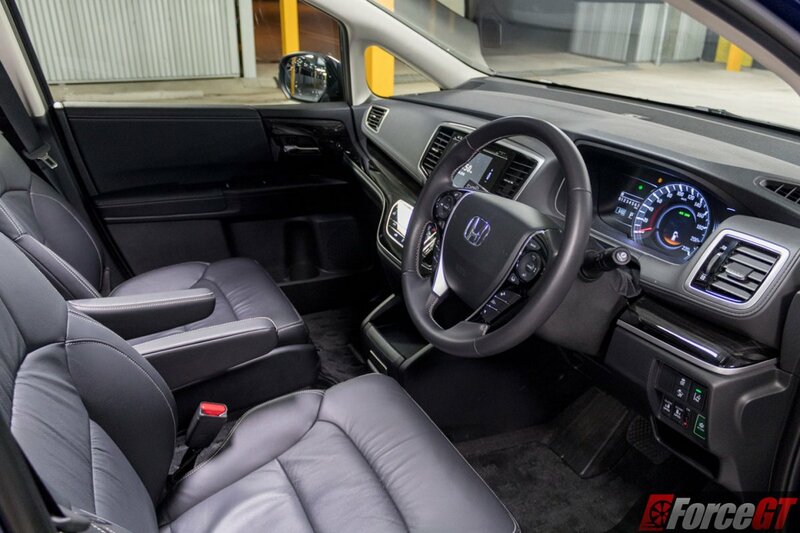 With just the driver at the helm the ride is firm but add some more weight into the mix and it settles down becoming far more comfortable. 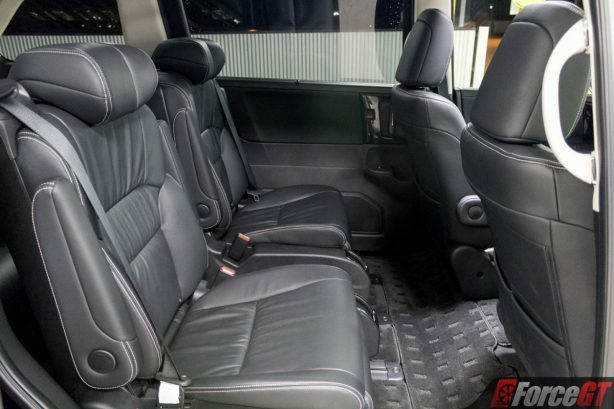 Entertainment falls to the 6-speaker stereo system connected to the 7″ infotainment touch-screen which while lacking DAB+, does come with Bluetooth, CD Player, HDMI, USB inputs and can decode MPEG video too. The sound quality from the stereo is average and I was expecting more given the large space of acoustic volume on offer. 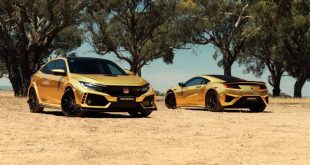 There’s no Android Auto or Apple CarPlay either which is a shame, though it does support Siri voice commands for connected Apple devices. One issue that became apparent was the inability to sync up a phone to the infotainment system while moving which is a bit daft considering passengers frequently want to do this. Surprisingly there’s no rain sensing wipers fitted to the Odyssey and instead of an electronic parking brake you’ve got to make do with a foot operated hand brake. 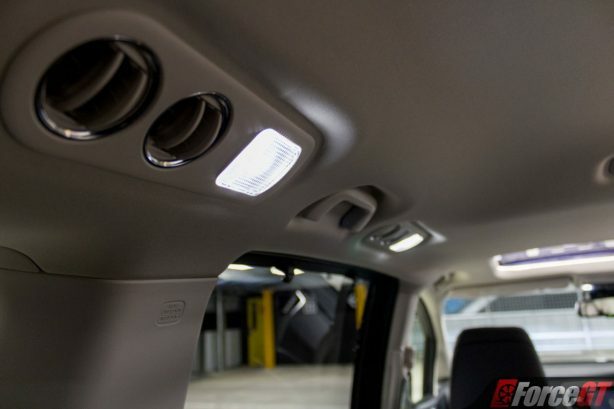 Given all the headroom available from the van-like body, a panoramic sunroof would step up the interior another level but you’ll have to make do with the standard sized unit. I’ll be honest. I’ve always had a soft spot for people movers because they’re such honest cars. 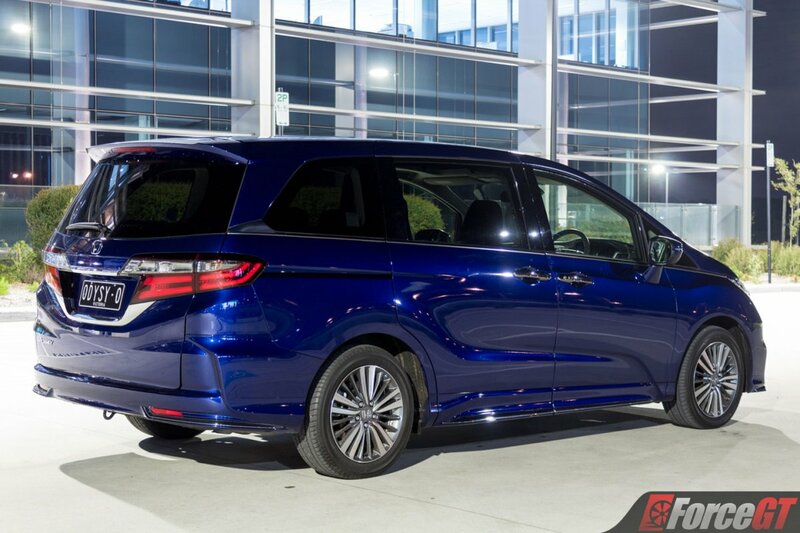 They have one job to do, they do it extremely well and the Honda Odyssey is no exception to this rule. Honda wanted to use the extra room and space available from the platform to offer drivers and passengers higher levels of comfort and usability, which they’ve nailed with the VTi-L.
Safety: 5-star ANCAP, 6 Airbags (full length curtain airbags), Front/Side/Reverse/360 degree camera, Brake Emergency Display, Blind Spot Monitoring, Rear Cross Traffic Alert, Hill Start Assist, Adaptive Cruise Control, Collision Warning, Forwad Collision Mitigation (low speed/high speed), Lane Departure Warning, Lane Keep Assist, Load Limiting Front Seatbelts with Pretensioners, Anti-Lock Braking System, Brake Assist, Traction Control, Stability Control, Electronic Brake Force Distribution.